Secondary silver sources include coin melt, scrap recovery, and dis-hoarding from countries where export is limited. Silver is exceptional in the midst of metals due to the fact that it can be classified as both a precious metal and an industrial metal. Silver is treated as both a valuable and useful industrial commodity and as an investment. It is also an effective portfolio diversifier. Physical silver demand touched record level of 1,170 million ounces (Moz) driven largely by high jewellery and silverware fabrication demand along with silverware demand and investment demand. Silver jewellery demand in 2015 remained remarkably robust, growing at 3.5% year-on-year. Silver’s use in jewellery reached a record high in 2015, with much of that coming from China and India where per capita demand is still low. 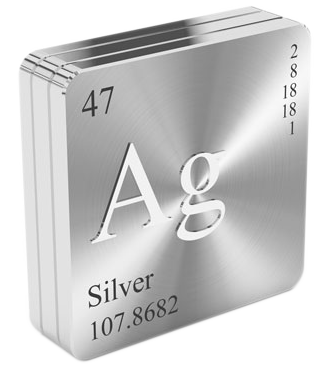 New functions for silver also stayed firmly on the radar, with a steady stream of announcements in the glass, clothing and hygiene industries. India's leading commodity exchange to trade in bullion futures Highly liquid contracts Deliverable contracts with internationally accepted silver bars. Flexibility to choose from four different contract sizes below table. 4% will be the base price limit. As soon as the price limit is violated, the relaxation will be allowed upto 6% without any cooling off period in the trade. In case the daily price limit of 6% is also breached, then after a cooling off period of 15 minutes, the daily price limit will be relaxed upto 9%. In case price movement in international markets is more than the maximum daily price limit (currently 9%), the same may be further relaxed of in steps of 3 % and inform the regulator immediately. The current price of Silver May 2018 Future is Rs.38300/- per kg , contract is for 30 kgs (lot size).